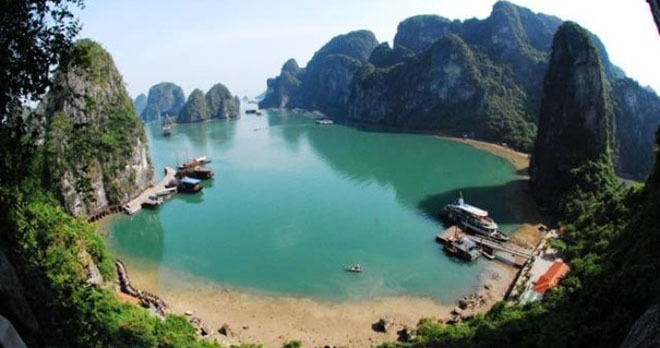 Halong one of the natural wonders of the world famous four splendid beauty, pride attract visitors away.Bay is becoming an attractive destination for local and foreign tourists. One of the reasons why it became the ideal destination, it is the richness and diversity of the forms of tourism discover Halong Bay highly experiential attract all visitors while traveling in here. Come to Halong you will experience a sense of discovery in the Gulf region with numerous majestic cliff cliffs rising ever, beautiful rapids. 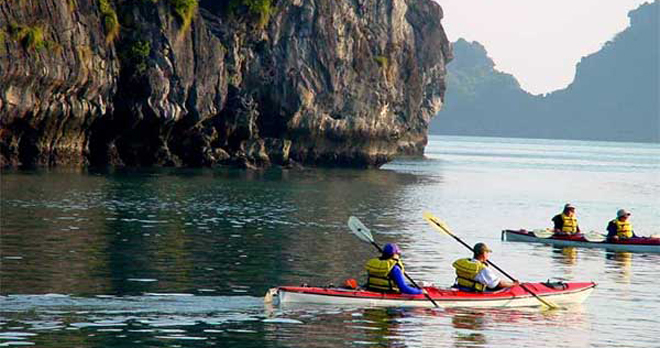 There is a new form of tourist attraction all travelers to Halong with tourism which is exploring Halong kayak paddle transmission in Halong Bay. In fact, tourist kayaking in Halong bay Halong appeared in the early years of the 90s, beginning of the 20th century, kayaking in Halong bay is mainly just for tourists outside adventure. 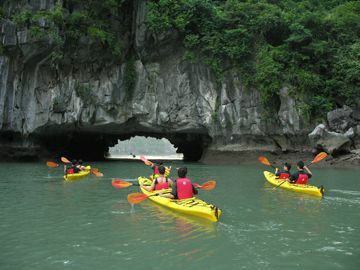 To date, there have been many visitors in participating countries kayaking in Halong bay, especially young people. Discover Halong Bay by kayak, visitors are likely to see is a stunning Halong Bay while sitting on other cruise ships can not get that feeling. When kayaking Halong explore an extremely interesting experience travelers are accenting sightseeing sky, mountains Halong country, is wriggled into the cave , hand caressed the stone, the flowering period, allergic draft, coddled seashells, shells message sparkling colors … bring the poetic feeling for each person. 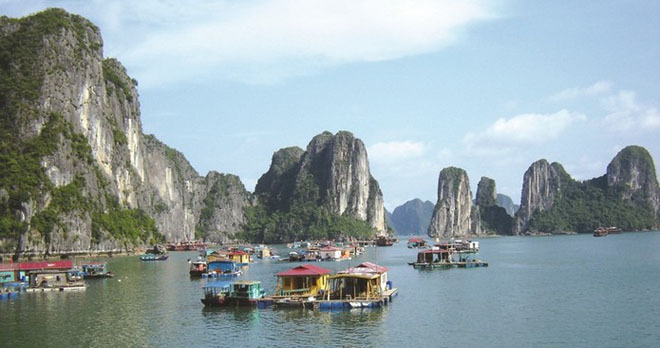 Ha Long is one of 25 destinations kayaking leading National Geographic Adventures magazine has elected in 2000. If you are traveling Halong calendar, once you manually try kayaking in the bay Long visit Vung Vieng fishing village, Cong Dam … explore the beautiful landscape on the Gulf as well as the lives of the people here. For many travelers, the most interesting thing is that they are rowing washed into the caves to explore countless stalactites that the Creator endowed with strange shapes. Especially when kayaking in Halong Bay in the caves go low, you will have to manually attach to the top and push the boat into the cave, sometimes you’ll have to lie back down new boat can go through the cave. 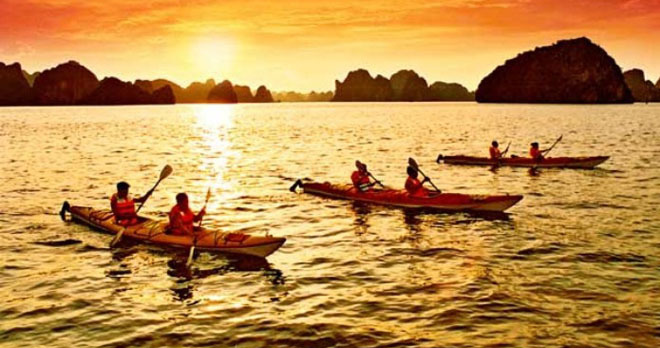 According to experienced rowers, the kayak is a sport that is quite dangerous for those who can not swim, or lose your temper.Experience and discover the hidden beauty of the beautiful Halong Bay with many interesting things alongyacht kayak. Along with kayaking on Halong Bay, visitors will explore the lives scattered fishermen villages in Halong.Guests will get to experience work together with fellow fishermen here, and discover the unique culture of people floating villages in Halong Bay. Many travelers prefer to sail close friend to watch the daily activities of fishermen, from a mesh, debugging through, feeding, cooking on a raft … Destination to experience this activity be cooperative Halong Van fishing in Vung Vieng fishing village, Cua Van fishing village, Ba Hang fishing village … You can rent kayaks at Halong cruise terminal. 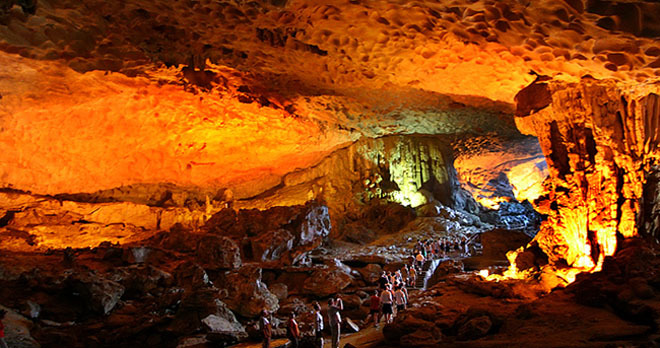 Continuing the journey to discover Halong Bay kayaking in Halong bay, visitors will slowly go through Gate of Heaven, peak Lu Huong Mai Trong … and stopped at Luon cave . 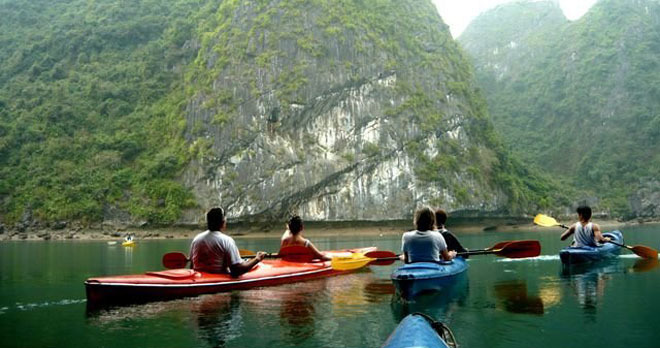 Included are free kayaking seems mysterious discovery here, to the island Titop, drop into the cool blue water and fresh in Halong Bay is one of the interesting things to attract all travelers to and participation journey to explore Ha Long Bay by kayak. Titop climb peaks, visitors can enjoy panoramic bay shrink in sight. The ice island every shape standing proudly between blue sky and sea. After dinner, guests lit the lamp squid or cultural exchange with ship personnel. Currently, there are many types of kayaks are made ​​of composite plastic, molded rubber or inflatable boat with oars. Areas such as Luon Cave , Ba Trai Dao, Ba Ham, Dau, Hang Co … is the appropriate venue for kayaking … You can experience kayaking in Halong bay by taking the tour tour of Halong bay with luxury yachts. Because this is part of the tour program of most cruise on Halong Bay for visitors want to explore the beautiful Halong Bay. Let once self sailing on Halong Bay to enjoy this exciting offline.